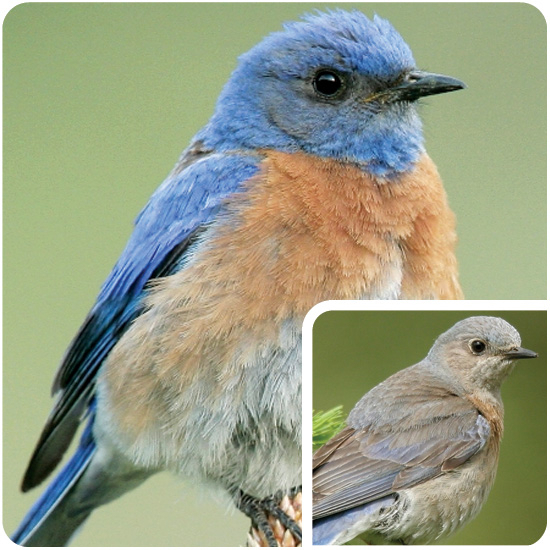 A list of backyard birds commonly found on the Olympic Peninsula. Food: Seed, fruit, insects & suet. 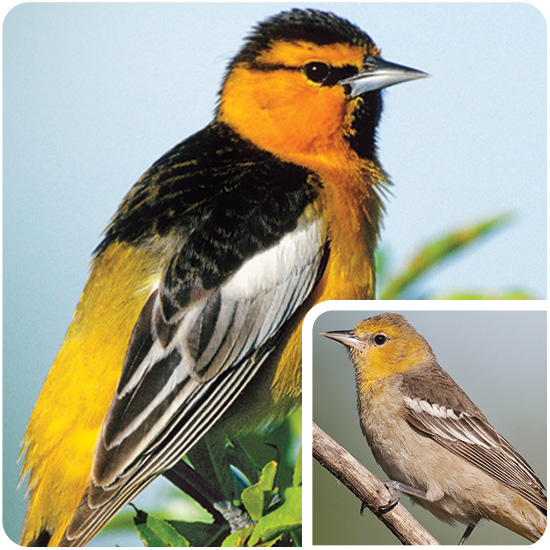 Info: One of our most common feeder bird. 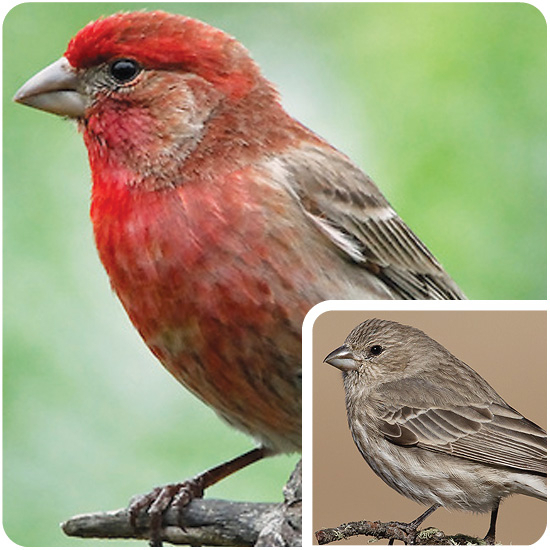 Originally a west coast resident, in 1940 a small flock the "Hollywood Finches" were released in New York and now call both coasts home. 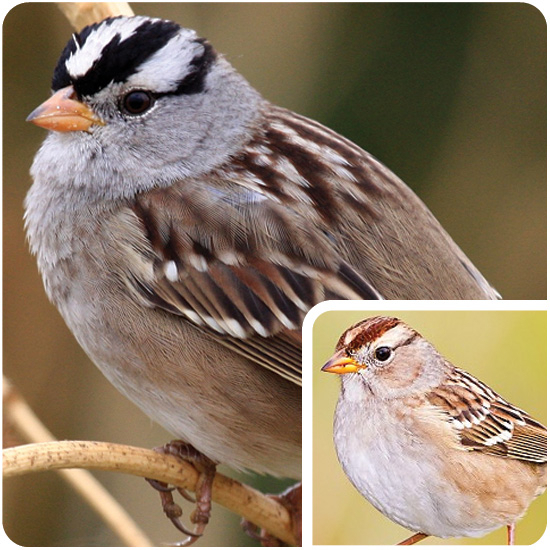 Food: Seed, peanuts, fruit, insects, & suet. 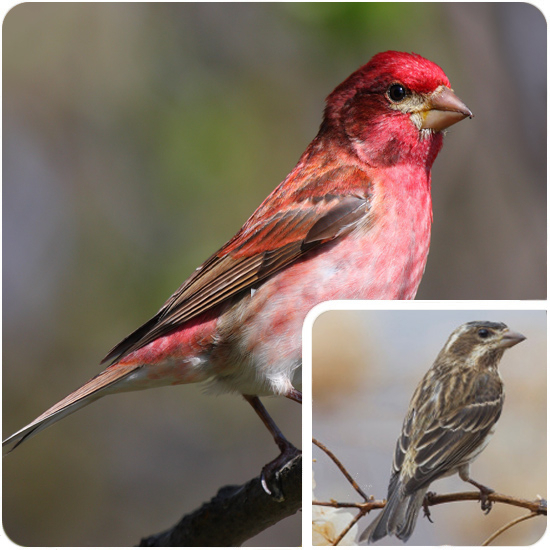 Info: There are two subspecies of the purple finch – the Pacific Coast form which has a different wing shape and colors from the more common Eastern form. Food: Nyjer Seed & Sunflower Chips. Info: Our State Bird! 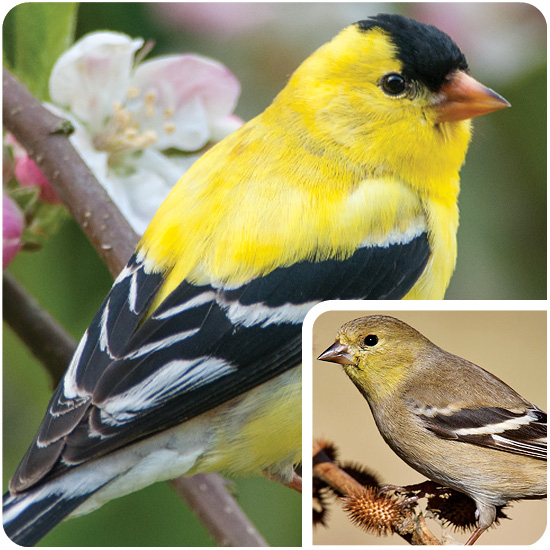 American Goldfinches have been known to weave their 3" cup nest so tightly it can hold water! Which can prove to be detrimental should a late summer shower pass through. Info: Many White-crowns breed all the way up in Alaska and make the 2,600 mile trip back to us every winter, some traveling up to 300 miles in a single night! Food: Seed, fruit & insects. 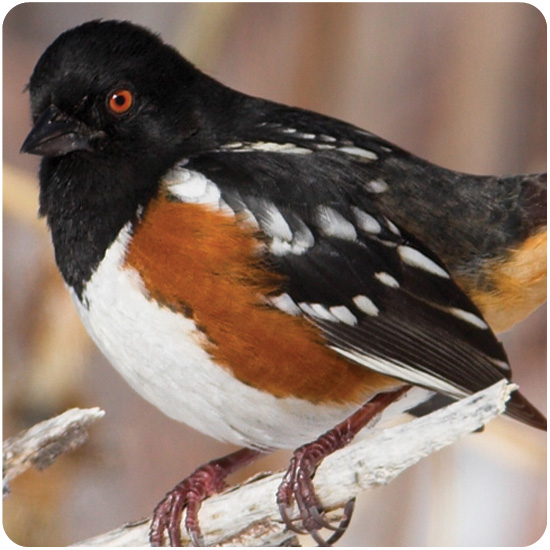 Info: During mating season male towhees have been recorded spending 70% to 90% of their mornings singing. As soon as a mate is won their singing time drops to 5%. Season: Year round (prominent in winter). 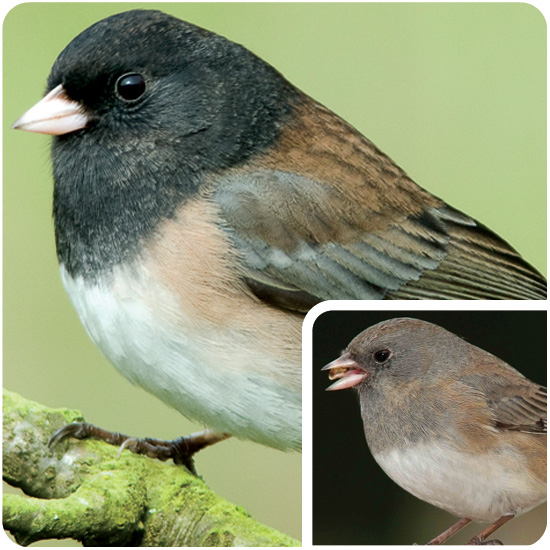 Info: Juncos are divided into several subspecies, the most common in the L.A. area being the "Oregon" race. 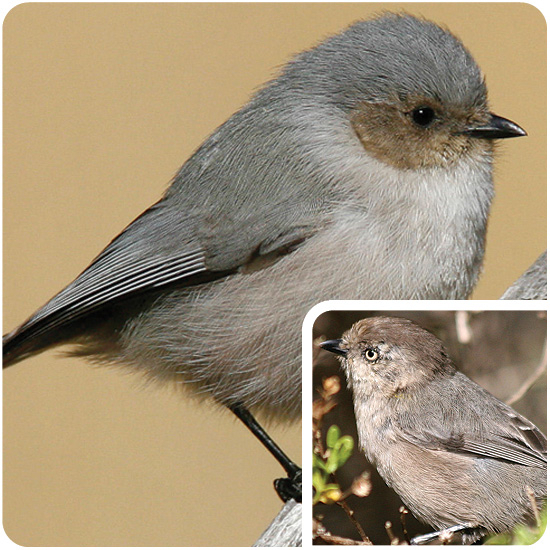 Look out for "Slate-colored", "Gray-headed" and "Pink-sided" throughout winter. 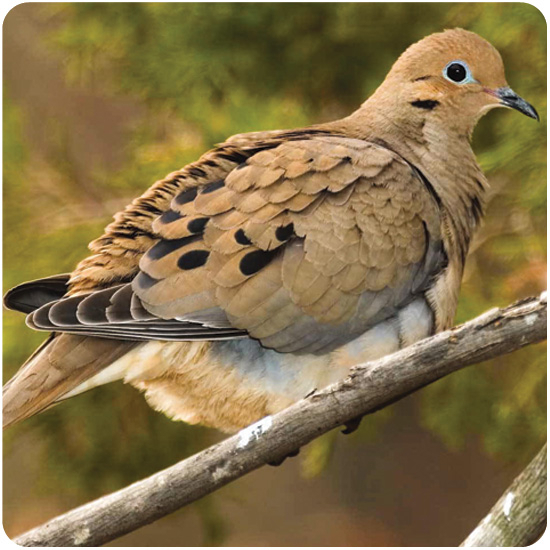 Info: One reason why Mourning Doves survive in the desert: they can drink brackish spring water (up to almost half the salinity of sea water) without becoming dehydrated the way humans would. Info: Hummers maintain a body temperature of 107° Fahrenheit. In cooler weather they enter a state called torpor: breathing and heart rate slow, and their temperature can drop as low as 48°. Season: Valentine's Day to July 4th for the males. Females stay usually into August. 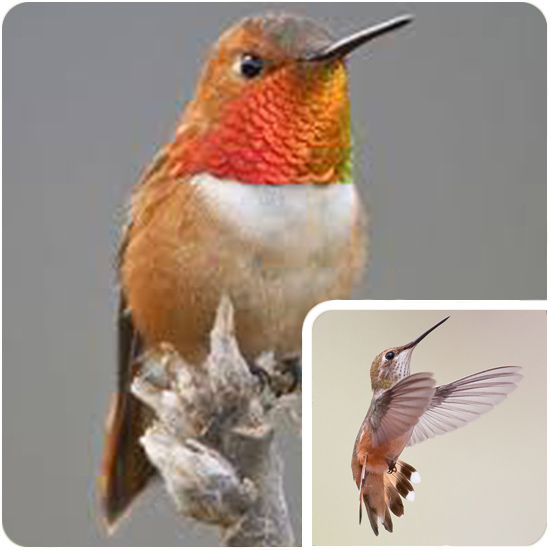 Info: The Rufous Hummingbird is the most aggressive songbird we have on the Olympic Peninsula. Food: Nectar, fruit, suet, Bark Butter & insects. Info: The male performs a bowing courtship display, hopping from branch to branch and bowing to the female every second or so—all the while singing loudly and exposing his colorful plumage. 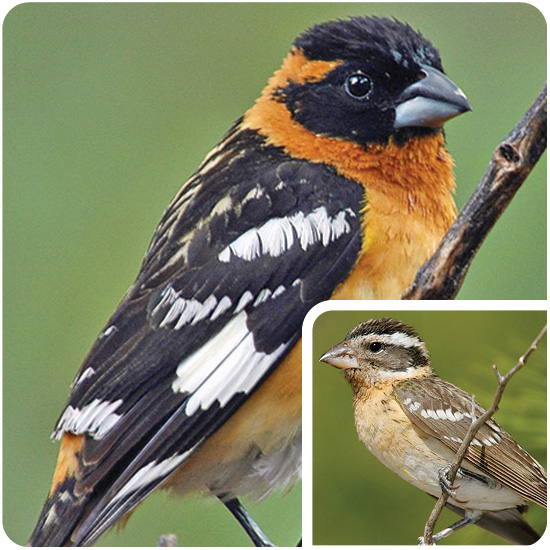 Info: Toxins in the Monarch Butterfly make them poisonous to most birds, but grosbeaks can eat them. They feed on them in 8-day cycles, giving themselves time to eliminate the toxins. Food:Sunflower seeds, pine cone seeds, suet, & peanuts. Info: Crossbills have a bill that is crossed at the tips, is specialized for pulling apart pine cones and picking out the seeds. 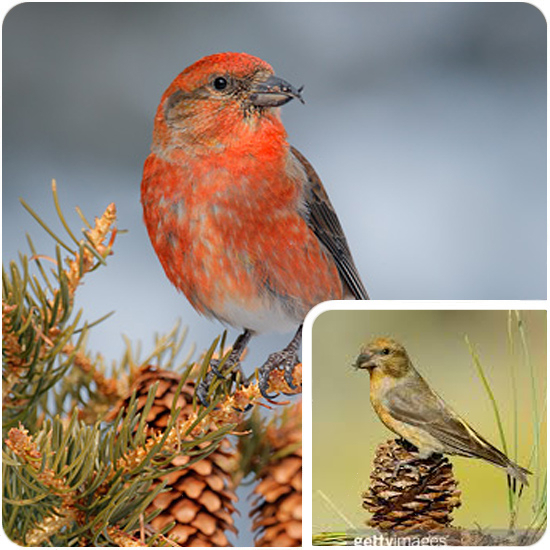 Crossbills are found in the evergreen forests of the Northern Hemisphere, as far south as NW Africa and Guatemala. Food: Seed, suet & insects. 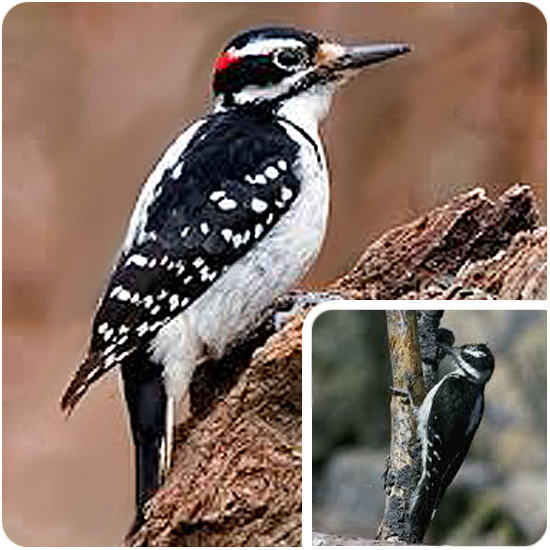 Info: The most likely woodpecker to visit a backyard bird feeder but still a rare and exciting sight in the South Bay. 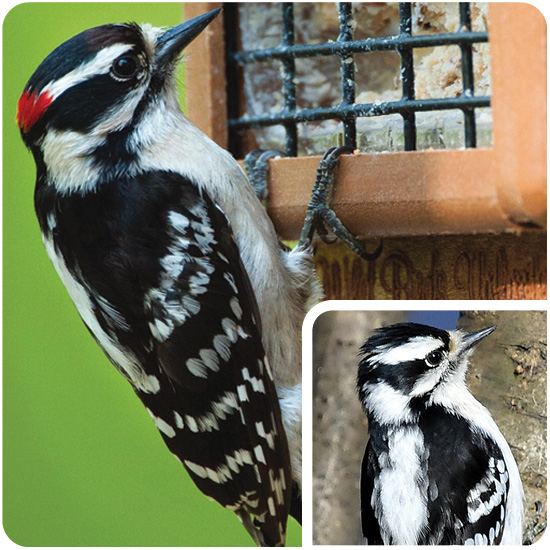 Our customers have had the best luck attracting them with seed cylinders and suet. 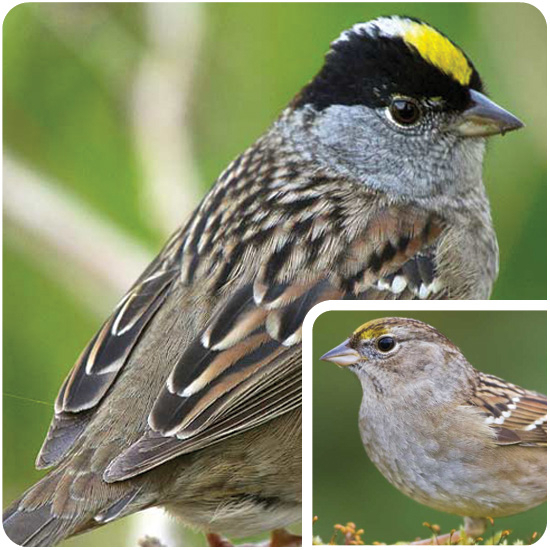 Food: Seed, suet, & Insects. Info: Woodpeckers move up the tree in a movement called 'hitching', which involves moving in short leaps. 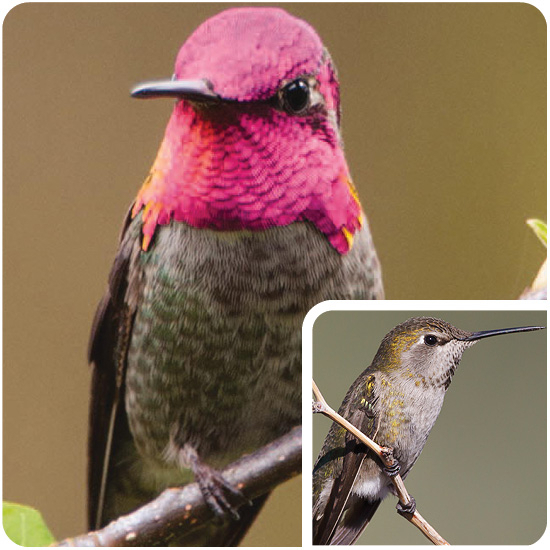 Food: Carpenter ants & other ants, woodboring beetle larvae, termites, insects, suet & seed. 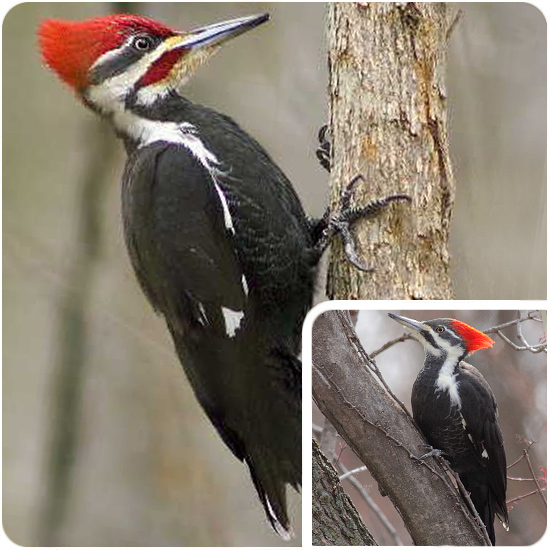 Info: The Pileated Woodpecker uses its bill to dig rectangular holes in trees to find ants. Info: Bustits make a sock-shaped nest of spiderwebs and plant material that can be upwards of a foot long when complete. Despite their tiny size they can lay up to 10 eggs in a single clutch! Food: Insects, fruit, Bark Butter & suet. 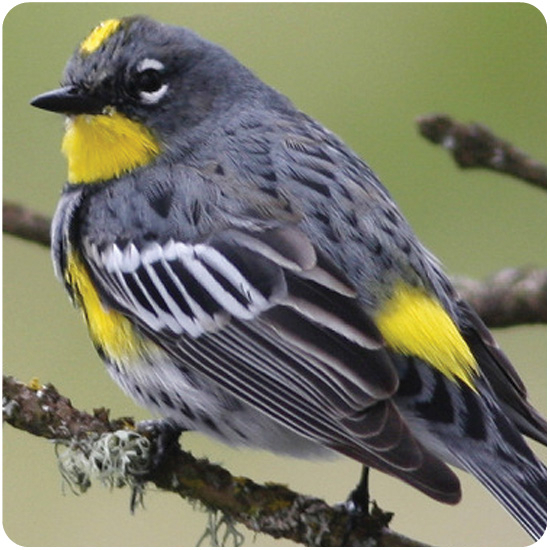 Info: "Butter-butts" to their fans, are the most versatile foragers of all warblers: catching insects in flight, skimming water surfaces, picking through sandy shoreline or raiding spiderwebs. Food: Insects, meal worms, Bark Butter & fruit. Info: First found to be nesting in the South Bay in 2003 they have been expanding their range every year, moving from park to golf green to marsh.